Want to make your business GROW? Let Us Show You How To Gather, Nurture & Convert Leads AUTOMATICALLY! The difference between SUCCESS and FAILURE? Your Sales Funnel Plan. The Sales Funnel leads your customer from the point of contact to the first sale and onward to repeat business. Think of it as a system that maximizes every interaction with your customer. It is far more than a form to fill out or an isolated e-mail response sent out when time allows. The sales funnel is the key to creating a marketing and sales plan that AUTOMATICALLY converts interested customers into first purchasers and repeat buyers! Creating a Sales Funnel That Delivers For Your Business is POSSIBLE! 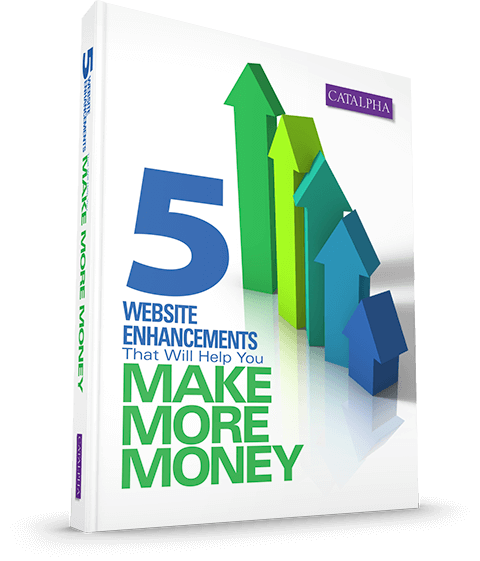 At Catalpha we have experience setting up effective sales funnels that help business owners produce more leads and convert more sales with their limited marketing dollars. We can quickly identify where your funnel needs improvement and execute the plan in a timely manner. Let us determine whether SEO, PPC, E-mail, Online, Social or Traditional media are right for your funnel. Then incorporate our creative skills with a powerful CRM solution that is set to your needs. Contact us today to create your automatic sales funnel and success! The key to maximizing revenue through the sales funnel is to view every point of customer contact as an opportunity to interact. Thus, you don’t merely ‘tell’ the customer information; you educate them, you get them to respond by becoming the expert in your industry. You understand their needs and have the solution they want. In the end, they seek YOU out, not you CHASING them. The funnel is a blueprint for automating that educational sales process. Nurture Prospects – You continue to educate the customer on your service or product. You offer useful information to stay in touch, through an email series. Deliver and Satisfy – Your service or product is everything they had hoped for! Upsell Customers – Creates a desire for more of the product or your ‘next in a series’ product. We can create a customized sales funnel that automates your sales plan and let you get back to business. Find out more with a FREE no-obligation consultation. Don’t wait, your business success depends on it. Learn how Catalpha can create a custom Sales Funnel to help your business grow.